FLEXMAIL 04-2016 - Hose crimpers, hydraulic crimpers, Workshop crimpers, Production crimpers : UNIFLEX of America LLC. Thank you very much for your great cooperation this year. On the following pages you will find an overview of all developments in 2016 and news from the last months. 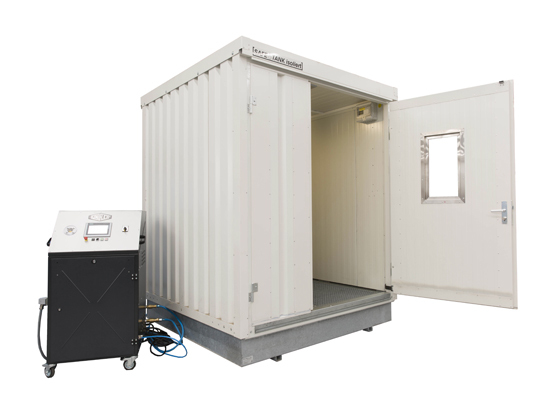 Modular and safe testing of hydraulic hose assemblies - UNIFLEX proudly presents the new P350 pressure test bench with external pressure aggregate, C.2 control and a spacious testing chamber, that can be equipped as required! 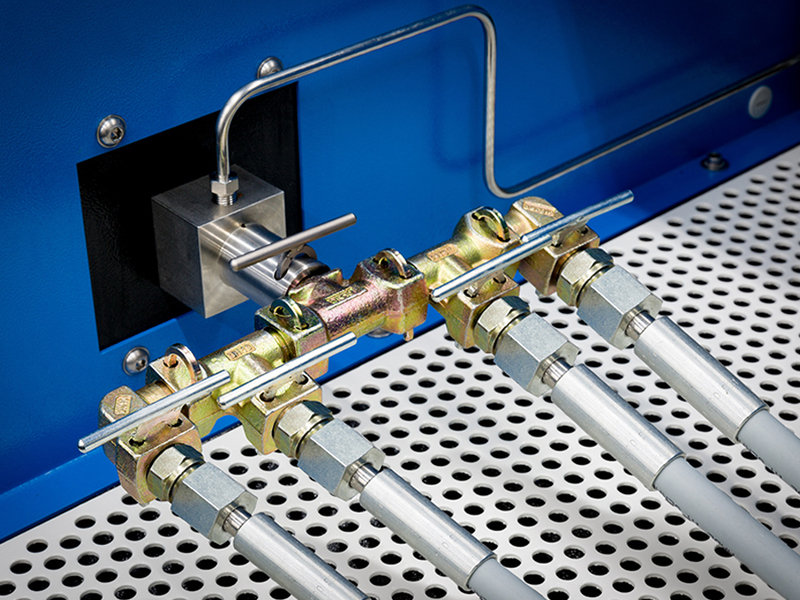 Simply move your hose assemblies (already packed for shipping) into the testing chamber via the ramp, quickly connect the hose adaptors and test your hose assemblies efficiently and safe – up to a maximum pressure of 1000 bar. Here the wheat is separated from the chaff! 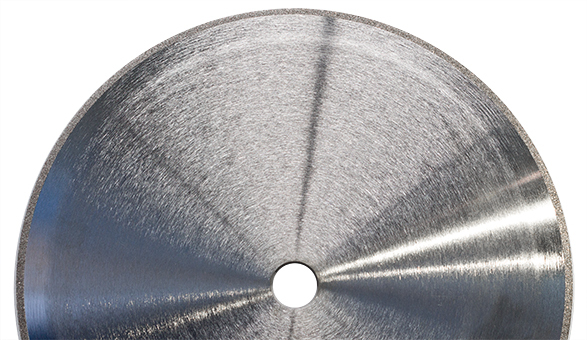 With its special coating the TM C cutting blade substantially reduces the power demand during cutting. Coated with fine, very hard particles it produces a precise straight cut leading to a considerable reduction in contaminant and smoke. The hardness of the cutting blade remains unchanged even at high warming. 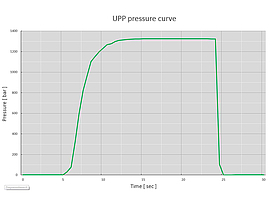 Either retrofitted to your existing UNIFLEX hose assembly test bench or as an option with the purchase of a new one, the UPP pressure sensor with documentation software enables you in a few steps to record your test procedure and results, save it and print it. Your customers trust your products - with UPP you will deliver a test certificate that is customizable to your customer’s needs, and confirm it. With UNIFLEX test benches you do not only have the possibility to test 2 or 3 but 4 hose assemblies at once! Test with the known UNIFLEX precision and thanks to the new procedure accelerated by a factor of four. Combined with the proven quick coupling system your hose assemblies will be connected to the test bench within second. The S2 M H Ecoline service crimper from UNIFLEX is the ideal device for the on-site repair of hydraulic hoses in construction and agricultural machinery. The manually operated device weighs only 30 kg and allows for the fast and safe establishment of hose connections up to 1" (for 2-part fittings) or 1 ¼" (for single-part fittings). Thanks to the greaseless slide bearing technology and the sturdy frame, crimping with the S2 M Ecoline is particularly safe, clean and convenient. When operated in high-gear mode, the new two-stage pump of the S2 M H Ecoline range is particularly efficient, so that tasks can be completed three times faster than with conventional pumps. When not in use, simply push in the telescopic lever, so that the device takes up even less space when stowed away. As is the case with all hydraulic crimpers from UNIFLEX, the S2 M H Ecoline comes with a manufacturer warranty of two years. For more informatione please visit our website or contact our experts. 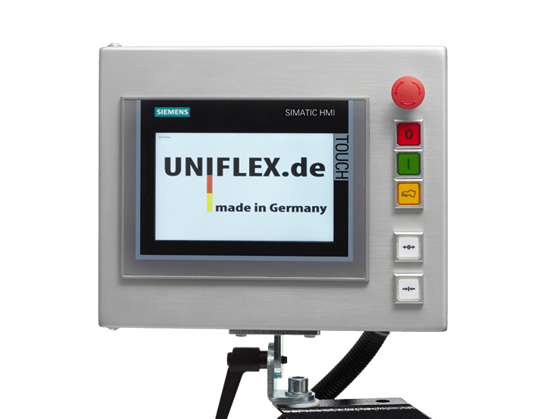 The C.2 machine control wit intuitive operation for UNIFLEX products has high definition color touch display. For an easier usage there are revised and updated standard menus (Quick-Menus) as well as the possibility to individualize each menu and function directly on-screen. The new and additional security gaurd provides an increased longevity. The centralized control using HID-compliant devices makes it even more efficient and quick to work with the C.2 Control. In addition, Features as PFM give you the possibility to to document and follow-up product and machine data. Product management for serial and production as well as service vie network with quick data up- and downloads are additional features. 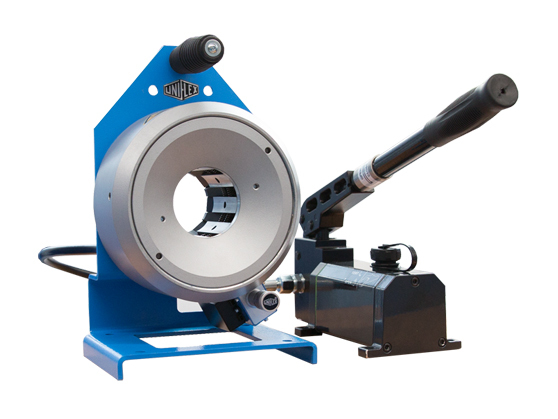 UNIFLEX is constantly developing new features for its unique slide bearing hydraulic crimpers, making them even safer and easier to operate, which also means higher productivity. 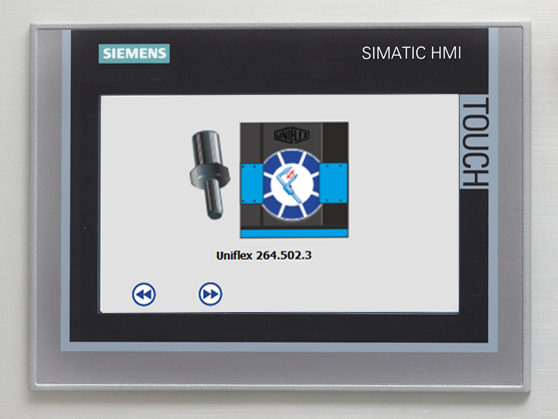 One such development is a smart accessory for the latest version of the HMI Comfort Panel C.2 with 7" colour touch screen and Siemens HID ports. This accessory comes with its own software for quick and easy calibration/adjustment of workpieces. 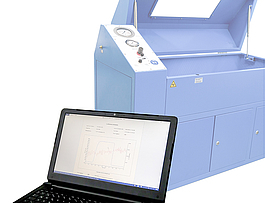 Calibration is now easier than ever, and the process can be integrated into your testing equipment list, facilitating certification. 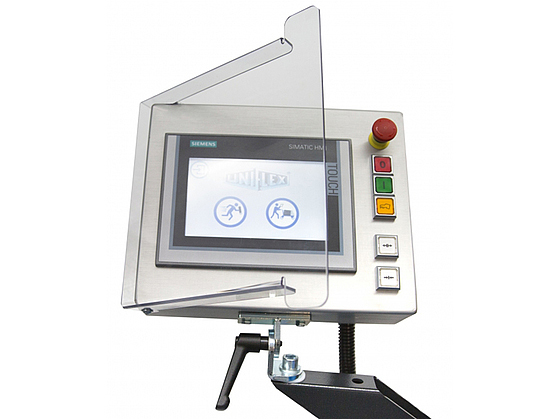 The intuitive user interface is based on programmable customer-specific profiles. Apart from calibration, software solutions from UNIFLEX cater for quality assurance tasks, CIM, product control and many other applications and can be implemented as part of your own network and/or as customized programs. UNIFLEX accessories make it even easier for you to operate a variety of hydraulic presses while boosting your productivity. As you would expect from UNIFLEX, the C.2 is supporting a variety of customisable features as well as an intuitive user interface using programmable customer-specific profiles. Calibration, quality assurance, CIM, production monitoring, and similar are easier to deal with using your own network and/or custom programs. A brand new Makrolon® protective gaurd specifically designed for the C.2 protects it against dirt and knocks, adding to the legendary UNIFLEX longevity that you will find in any UNIFLEX product. Interested? Please contact our experts or visit our website. As of the 1st of December the “Hydraulics-Engineering-Service LLC” is our new service center in Russia. The showroom invites visitors to test and experience the whole range of the UNIFLEX machines and our on-site team will happily assist with any queries regarding stock, service and sales. 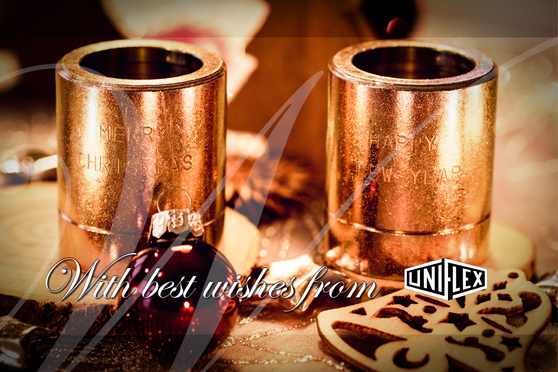 We are more than happy to welcome Dietmar, Lev, Mikhail and Vladimir to the UNIFLEX family. Mikhail S. Lekomtsev, Sales Manager for UNIFLEX in Russia. Mikhail is a sales engineer in industrial hydraulics. He has a lot of expertise with Vickers, Internormen and many other brands. Dietmar Kreyser is leading the team at the offices in Yekaterinburg. He has been in the hydraulic field for more than 25 years as an international business developer for Bosch and later regional sales director for Eaton, responsible for 30 countries in the east of Europe. His expertise will be a great advantage for our customers. Vladimir N. Burnatov, inside sales and customer care manager for UNIFLEX in Russia. He studied economy in the USA and speaks English and Russian. Lev O. Gorinov, head of administration. He built up a lot of experience in import and administrative organization for Argos-Hytos, Kracht and Hydrotechnik. Looking back on a successful year we wish you and your family a pleasant festive season and a wonderful start for 2017. All the best wishes and a peaceful Christmas holiday! Instead of spending money for presents UNIFLEX-Hydraulik this year donates to Human Rights Watch to support their work throughout the whole world. In this spirit we are saying “thank you” for the your contribution on behalf of human rights watch. Please note, that our head office in Germany will be closed from 23rd December 2016 until 8th January 2017.